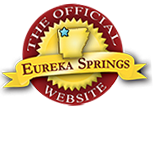 November is the month for fall leaves and colorful fun in Eureka Springs. Impressive displays of color are reason enough to travel to the Ozark Mountains but a trip this fall could introduce you to the eclectic and creative town of Eureka Springs. Book your trip at the beginning of November and don’t miss the breathtaking views! 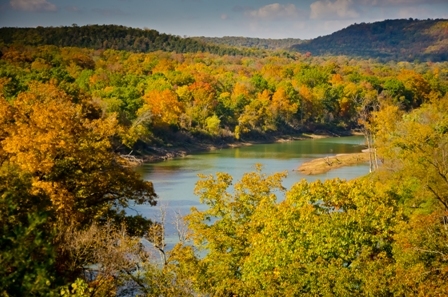 Some of the best views of fall color in 2015 are in the Ozark Mountains. The tiny mountain town of Eureka Springs is one of the most popular destinations for viewing fall foliage. Views from places with names like Inspiration Point, East Mountain Lookout and Lover’s Leap hint at remarkable views and interesting stories. Many of the most scenic places are easily accessible by motorcycle or car. Enjoy the view over dinner or drinks from the highest point in Eureka Springs at the Sky Bar. Reserve a private Eureka Springs cabin surrounded by 110 acres of color at Silver Ridge Resort. Find the perfect Eureka Springs cabin with the best view here. Cruise the Ozarks – Check out our Motorcycles page for great fall foliage route maps! Eureka Springs is home to some pretty colorful locals. Recognized as a Top 25 Arts Destination, the mountain town is home to more than 200 resident artists. Explore art galleries that carry exclusive works by local artists and catch a tune or two from the historic band shell in Basin Spring Park. Enjoy an original culinary creation in one of Eureka Springs’ locally owned restaurants. 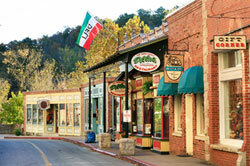 Spend the afternoon in downtown Eureka Springs and experience ‘eclectic Eureka’ for yourself. This entry was posted on September 11, 2015 by service424 in Attractions, Eureka Springs Lodging, Motorcycle Maps, The Great Outdoors, Things to Do and tagged Arkansas, art galleries, Crescent Hotel, culinary, dining, local culture, Outdoor, Ozark, photography, Top 25 Arts Destination, white river.